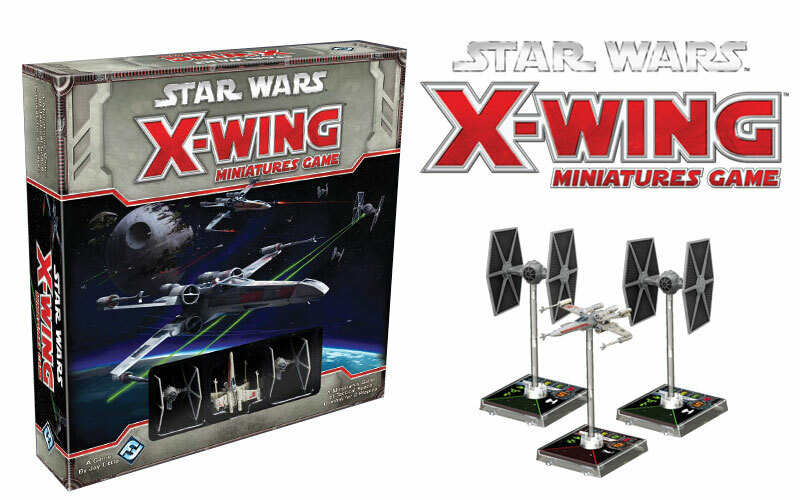 Kodra and I have been diving into the X-Wing minis game lately. I love playing tactics games with Kodra because he’ll dive into it as deep as I do but takes a wildly different approach than I do, so I learn a lot from his ideas (hopefully the same is true in reverse). It’s hard to get him into minis games, though, because the assembly/painting part of the hobby doesn’t interest him and the concept of eyeballing distances frustrates him as an unnecessary skill check to an otherwise compelling tactical experience. I tend to agree with him on the “no premeasuring” thing, as I feel like it’s a bit of minis gaming elitism that doesn’t add a lot to the game experience other than “gotcha!” moments when you misjudge a range. That being said, I’m good at eyeballing distances so I can live with it without being frustrated by it. X-Wing hits a nice middle ground, because it skips the assembly and painting and offers really high quality prepainted miniatures. I think I’d like prepainted minis games a lot more if they had the quality of X-Wing, frankly– the ships look great and there’s a ton of detail without the cost being outrageous. From a purchasing standpoint, it’s a pretty decent deal. A given ship is roughly $15, or half again what a standard mini of that size would be, and comes painted with nearly all of the game pieces necessary to use it (more on that in a moment). It also comes with a variety of pilot cards, so a single ship purchase can represent a pretty wide variety of units in the game. Finally, each ship comes with a selection of equipment and upgrade cards, which is where the cleverness of the system comes in. In X-Wing, each ship has a selection of upgrade slots, things like torpedoes, missiles, bombs, and more technical things like crew, system upgrades, and modifications. These can take a mediocre pilot and bump it up to respectable levels, or turn a powerful pilot into a devastating powerhouse. They also let you set up interesting combos. 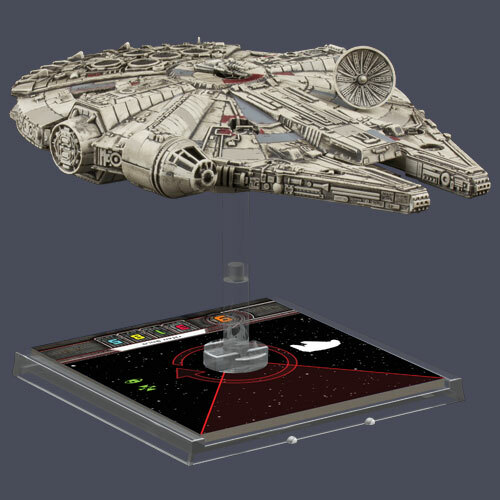 More importantly, however, the upgrade slots are standardized, so there’s no reason that a copilot for your Milennium Falcon can’t help you out in a B-Wing. It means that even purchases for ships you aren’t necessarily interested in flying may still be worth your while if the pack contains useful upgrades, and it’s a very clever way to get people to buy into more than one faction, if only to get the upgrades. Outside of the marketing angle, though, it adds a lot to the game. Regular releases often add new equipment slots that older ships have, and can take older ships that aren’t as popular or interesting and breathe new life into them. As an example, the Rebel A-Wing started off as a fast, agile counterpart to the TIE Fighter/TIE Interceptor, but was more expensive without necessarily adding a lot– Imperial players were taking barebones TIEs in larger numbers, and the more expensive A-Wing couldn’t pull off the same trick. In a later release, which included an A-Wing with a fancy paint scheme and several new pilots, a card was added that lowered the cost of A-Wings. Essentially, you could take an upgrade for your ship that did nothing but made it cost less, which evened the playing field. Watching the arc of the game, it’s very clear they’ve been using new releases to balance things out. 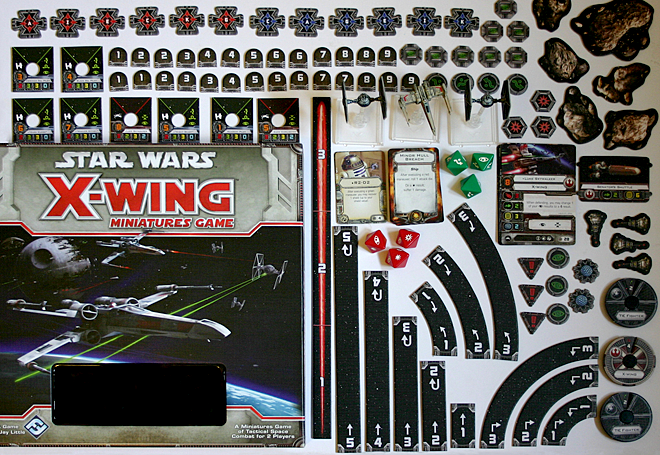 I originally started playing this game with a friend a few years back, right at the launch, and it felt very one-sided, with swarms of TIE Fighters crushing the X-Wings and Y-Wings that were available. I wound up losing interest because I much prefer to play smaller, more elite forces over large swarms and it felt like the game didn’t support that. Flash forward a few releases and some of the killer lists focused on one great big ship with a support wingman or two, and swarms were a lot less popular. More releases have evened that out, and at this point there are enough options for everyone that (it seems) like there are a lot of viable ways to play. I really like games where I can take my favorite units and give them more stuff to make them awesome. It was a huge frustration for me with Warhammer 40k (one of many, honestly) that optimal play was more about bringing lots of dudes and mostly ignoring the upgrades rather than heavily upgrading a smaller number of powerful units. Infinity also gives me this to some extent, where I can have a unit I particularly love and use different loadouts depending on my needs; it’s not the same as adding lots of upgrades, but it’s got a similar feel. With all of this, you’d think I’d like Battletech a lot, though I’ve never really gotten into it. I like it in concept, but I found playing it somewhat unwieldy. X-Wing offers me a nice blend of tactics and lets me come up with lots of different interesting strategies. I can fiddle with the list building tool for hours and come up with a ton of different, interesting options. In a lot of ways, it’s the same thing that got me hooked on Infinity: the ability to easily come up with a bunch of different lists and then pick the one I’m most interested in trying out on the table. There’s room to refine the list but I can also scrap it entirely and change tactics without a massive investment in new stuff. There’s an interesting pair of philosophies that come up with this kind of game, one that I find compelling and that triggers the game design part of my brain to start analyzing. I very much like minis games, especially ones with spatial reasoning and tactics taking the fore. Kodra prefers games like Magic: the Gathering and more contained board games, particularly ones that involve decks of cards as a randomizer rather than dice. We each find the other kind of game frustrating, often. I suspect a lot of it has to do with our gaming backgrounds. I’ve learned by being, generally, the lesser player in a group of skilled players, and have honed my skill and won games by achieving victory through avenues that my opponents are unprepared for, rather than facing them head-on. 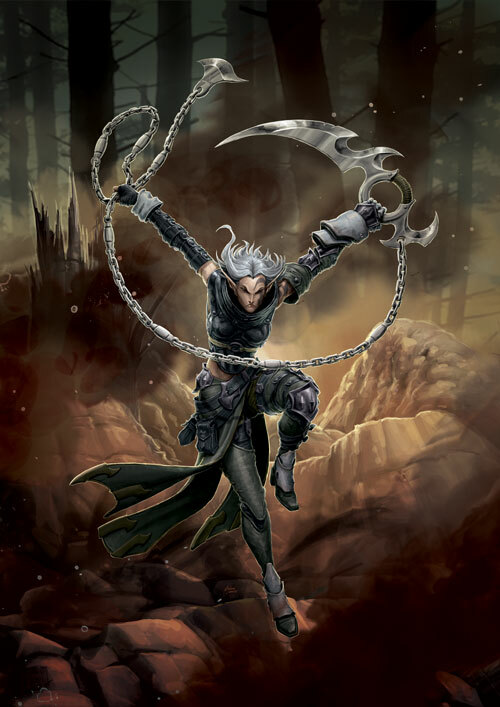 Kodra, to my understanding, has mostly been one of the best if not the best player in his local metas, and has taken the tack of refining very powerful strategies to be more efficient and win more/keep winning, rather than having to find alternate avenues to victory. 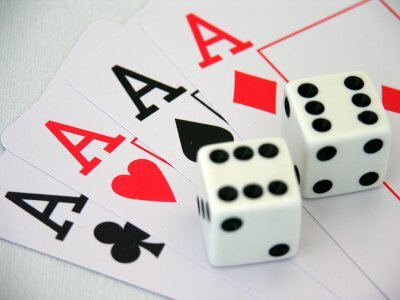 When we played Warmachine against each other, this was extremely apparent– he would create unstoppable legions and march forward, making no bones about his tactics, whereas I would bob and weave and strike where I could find an opening, rarely engaging and simply waiting for the single perfect strike. This picture included exclusively to troll Kodra. He’s won the games we’ve played, but they’ve been close. I credit his speed at building interesting and functional combo engines for his wins, while I think and adapt quickly enough with inferior forces to stay in the game a lot longer than I probably should. We’ll see what happens as we refine our skills and play more.